Lancashire agency Workhouse Marketing has appointed former account director Mark Camp to the position of director of operations. Camp has worked with Workhouse in a variety of roles for the past nine years, previously heading up the accounts team for its largest client, Stax Trade Centres. Since 2015 he has worked closely with the agency on a freelance consultancy basis. The move will see him back at Workhouse in a permanent capacity. 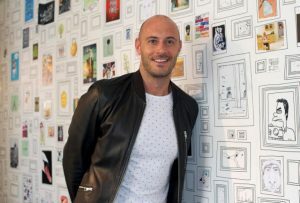 He previously worked in marketing roles for the likes of Ribby Hall and DePuy (part of the Johnson & Johnson group) before moving agency-side Workhouse in 2008. His new role will see him focused on the commercial side of the business, as well as taking responsibility for the client services teams. He will also continue to lead the Stax team.